Despite the MCU’s stellar track record, I went into Captain America: Civil War nervous that it would collapse under its own weight. Civil War reunites almost every single MCU hero we have seen in the past eight years, introduces two new heroes and has to somehow tell an emotional and coherent story, adapting one of Marvel’s most well-known and beloved comic stories. However, it turns out that my fears were ultimately unfounded. Civil War succeeds in basically every capacity, with only a few minor but inconsequential issues. Following the tragic events in the finale of Age of Ultron, the world has turned against our heroes. In an attempt to have some give the Avengers some form of accountability, the UN has decided to ratify the Sokovia Accords, which would force the Avengers to only act when and if a council approved it. The Avengers now face a tough decision: accept the Accords and become the UN’s lapdogs, or refuse and become wanted criminals. Spearheading the two sides are Iron Man and Captain America. Iron Man, feeling understandably guilty over creating Ultron, argues that the Avengers cannot continue to function without some oversight. Captain America argues that being at the beck and call of the UN could force the Avengers to basically become slaves, no longer having any say where they go or don’t go. This divide eventually leads to a, you guessed it, civil war. The philosophical debate lies at the heart of Civil War, and the film commendably explores the pros and cons of both sides. I was worried that the film would focus too heavily on Cap’s side, making Iron Man out to be a tragic villain. Fortunately, the film gives Iron Man enough of the spotlight to let us understand his point of view, while keeping the main focus on Cap. Unfortunately, the film doesn’t spend enough time on the secondary characters and their thoughts on the issue. Falcon, Ant-Man, Scarlet Witch, Hawkeye and Spider-Man are the biggest offenders in this regard, with many of them choosing a side based simply on who they are more loyal to—Captain America or Iron Man. It is a shame that a movie that spends such a long time exploring such a fascinating superhero debate doesn’t allow the other characters to give their take on the matter. That being said, I understand how difficult it would be for a movie to let every character give their view on the issue without being several hours long. The film pulls off an incredible balancing act. Every single hero was given just enough time to make an impact, while also never outstaying their welcome. The two biggest highlights of the film were the two newcomers: Spider-Man and Black Panther. Spider-Man was given the least amount of screen time, weirdly making it all the sweeter. Tom Holland gives an amazing (dare I say, SPECTACULAR) performance as Spider-Man, throwing out quips constantly without ever coming across as a clown. As much as I love the Sam Raimi Spider-Man movies, this is the definitive comic-to-screen Spider-Man that we have been waiting for. But I was never really worried about Spider-Man; I have loved him since I was 10. Black Panther was the true wild card in Civil War, as I, and most MCU fans, don’t really know much about him. Thankfully, Civil War serves as an excellent introduction to the character, giving him a much larger role than expected, along with a touching and satisfying emotional journey. These two characters are the perfect example of how to set up sequels in an organic and satisfying way, an issue that films like Age of Ultron and Batman v Superman stumbled with. 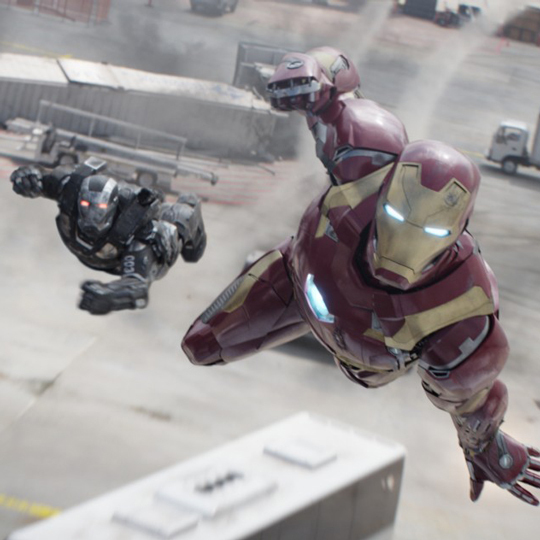 Captain America: Civil War is one of the strongest MCU entries to date. It somehow manages to do justice to all of its characters while also having a focused and well-structured narrative, with plenty of emotion. Civil War really is the whole package, and I am still having a hard time making sense of that. Who was better, Spider-Man or Black Panther? Are you Team Cap or Team Iron Man? Tweet me @adam_mcconnell. And be sure to follow us @YouNerded.